If you look into your business, you'll notice many big computers or servers lying around. The equipment is not only consuming your staff's time to maintain, but they also use electricity and have a tendency to fail. Over time, your company may wish to move them to a more reliable infrastructure managed by specialized personnel. Let us take care of moving these servers and reduce the operational expenses required for space, power and support staff, so that you can reinvest it in more profitable initiatives. 80 Mbps and higher bandwidth access to your applications. No more waiting for your servers to transmit or receive data for hours. 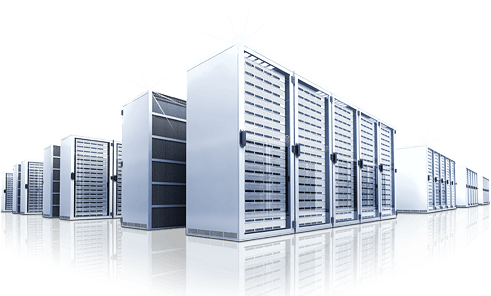 Cloud Servers located in world-class data centers, with ECC memory, hardware RAID 10 storage, and full redundancy network and power. Fast drive read / write response with 100% SSD. This extreme performance virtually eliminates disk delays, one of the most common bottlenecks for web applications. Place your servers closer to your customers or employees in 6 locations: Northern Virginia, Dallas, Chicago, London, Sydney, and Hong Kong.